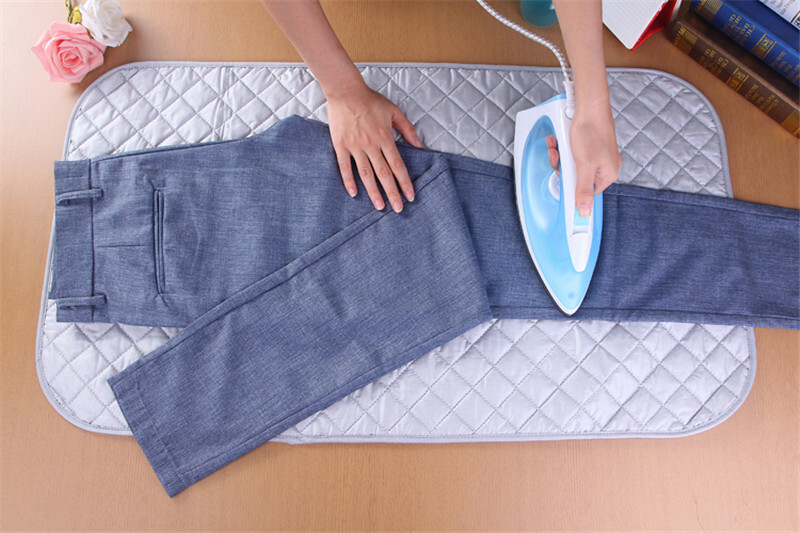 Iron anytime, anywhere with The Foldable & Portable Ironing Mat. 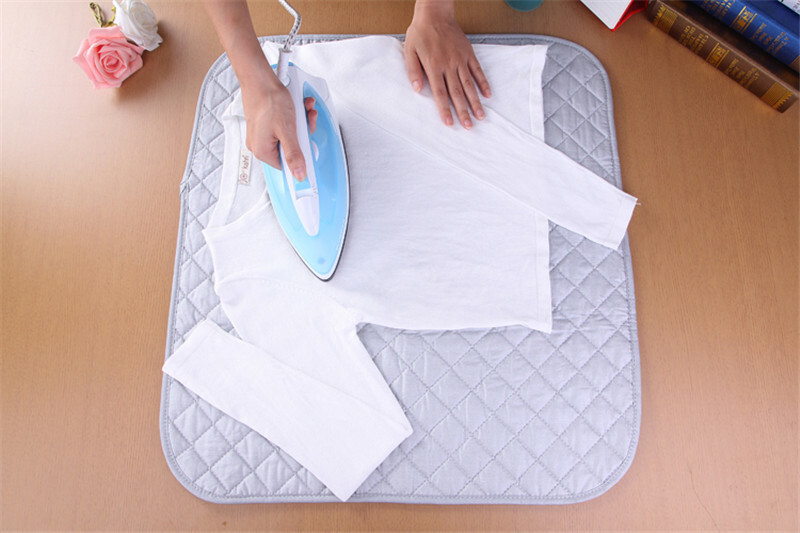 This high-quality, heat-resistant product can turn any flat surface into an instant ironing pad whenever the need arises. 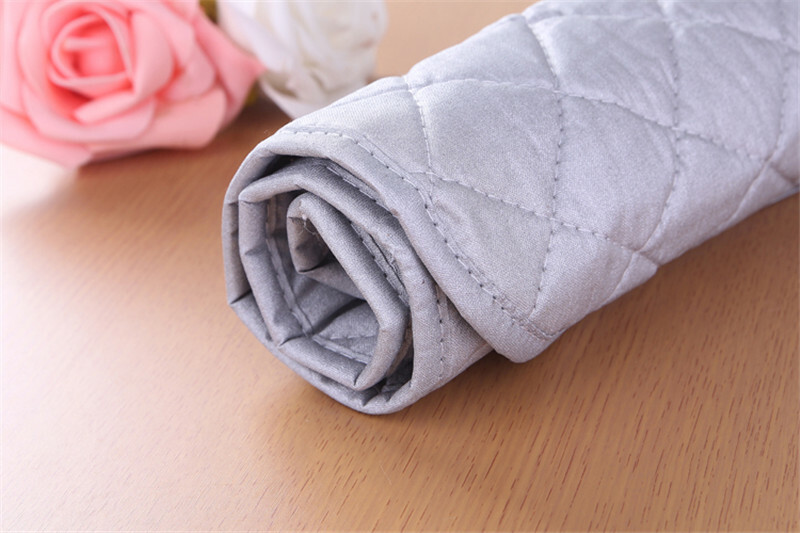 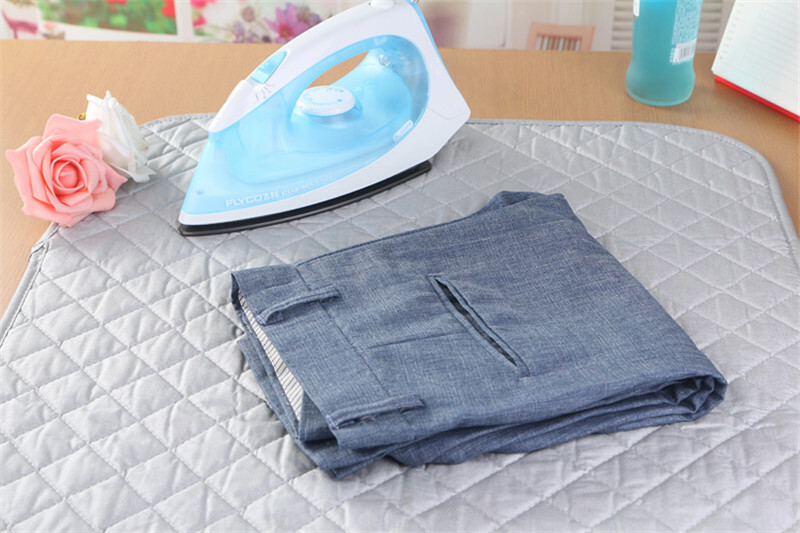 This Foldable & Portable Ironing Mat is the perfect item to allow you to iron clothes in any location. 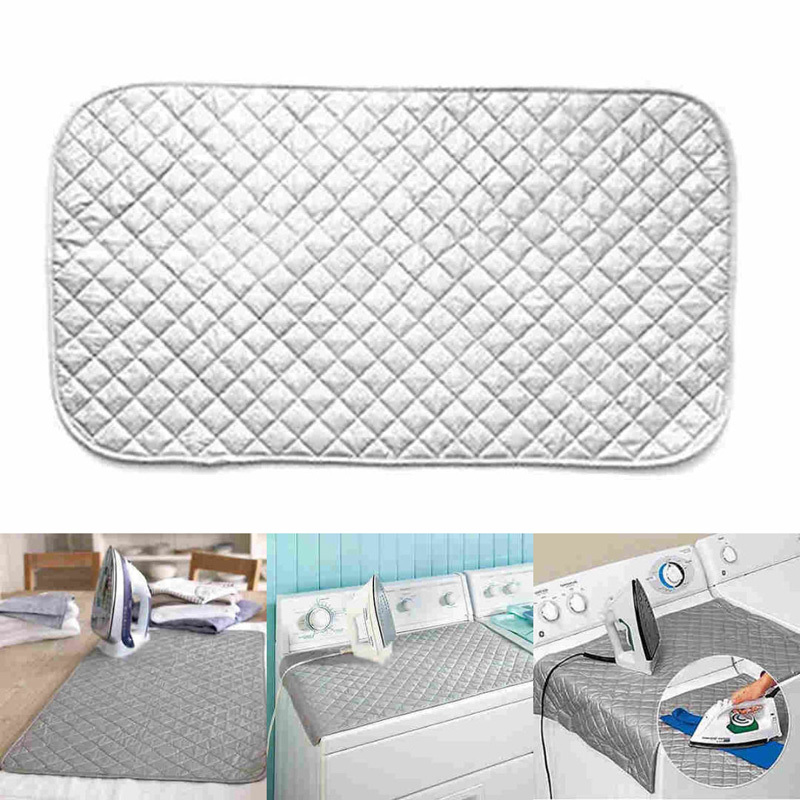 It's ideal for those living in cramped quarters, but also great for anyone that may need to remove wrinkles while away from home. 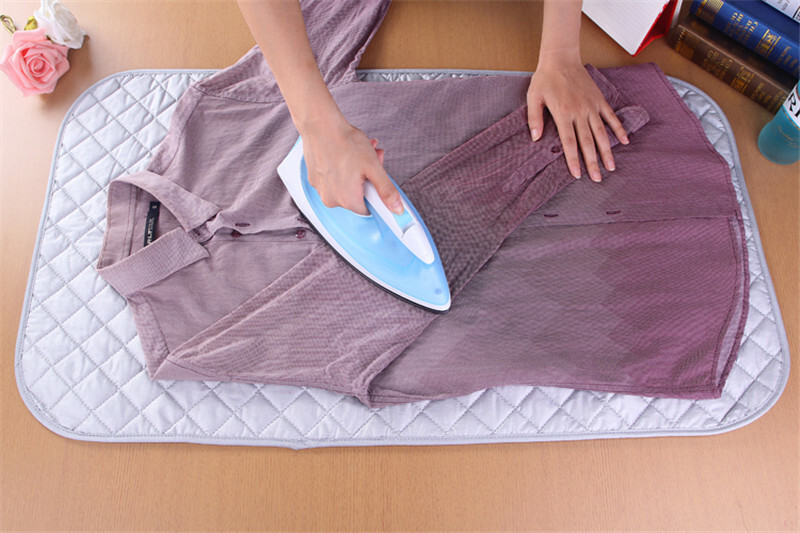 Not everybody needs a big bulky ironing board, and many of us don't have the room even if we wanted one. 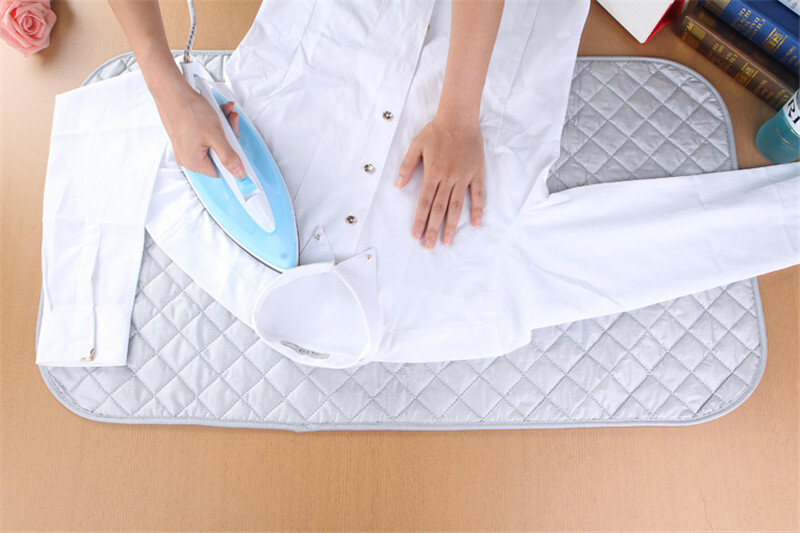 The Foldable & Portable Ironing Mat can be used on any flat surface, and quickly take care of your ironing without dragging out a monster size board. 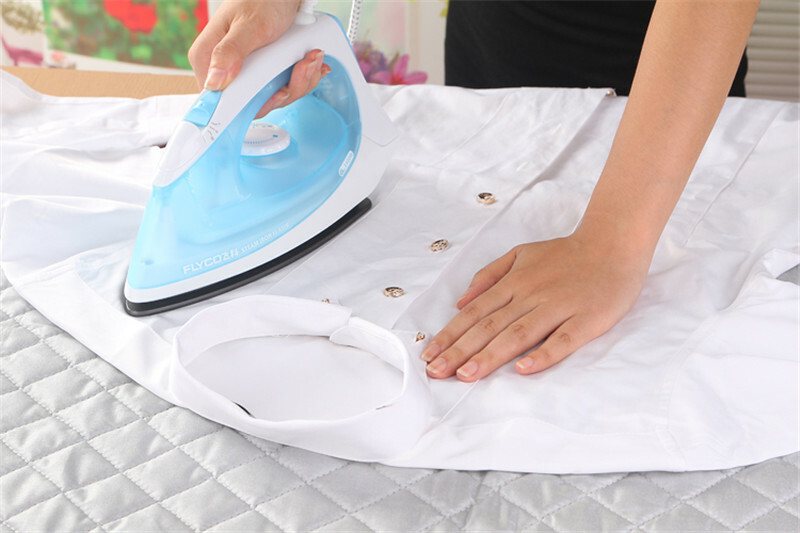 The Heat resistant material will keep surfaces safe, and will prevent your iron from harming surfaces due to hot metal.